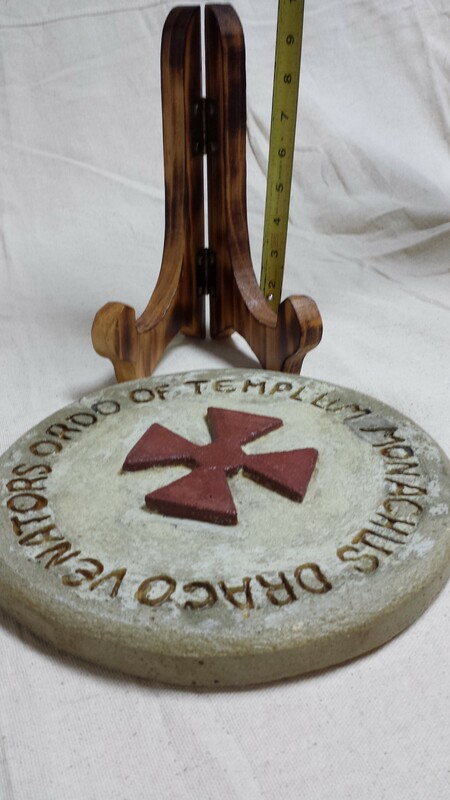 Round Clemstone of the Templar cross. 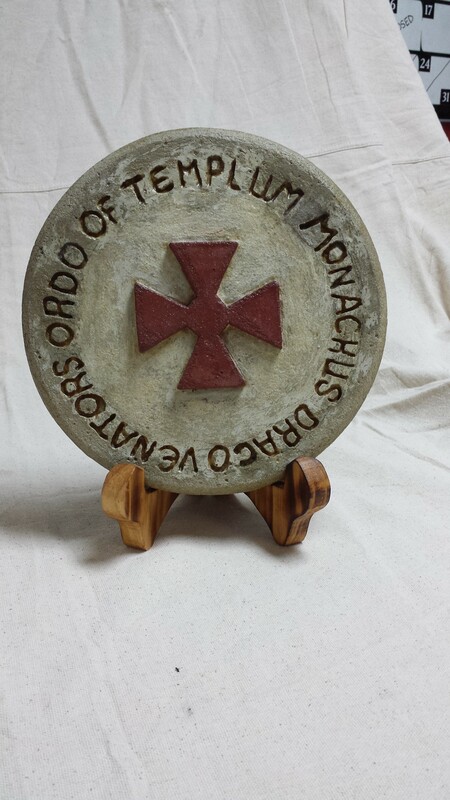 In 2nd century ad latin; "order of the Templar Monks Dragon Hunters." Clemstone is over an inch thich, with a ten inch diameter. Comes with solid wood stand overall height is 12 inches. There is no paint on this item. Handmade by Keptar.